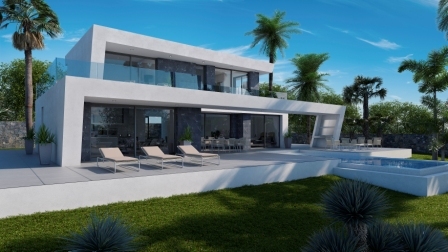 Luxury Customized Villas built to a very high standard integrating natural stone and features to fit into the Mediteranean style. 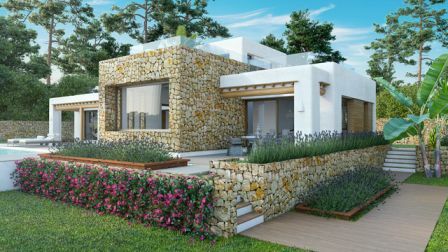 11 Villa Options as below with only 7 plots of 8 remaining. One of which is ready to start and on purchase could be ready in 12 momths instead of the standard 24 month construction contract. 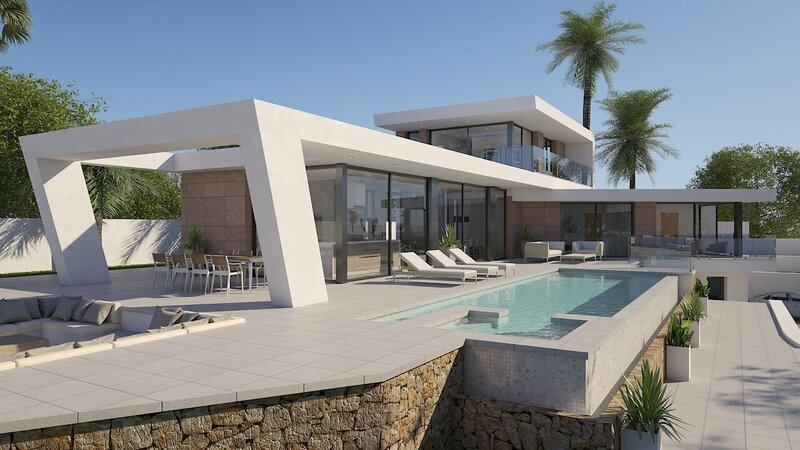 These 8 plots range from 1000m2 to 1250m2 and enjoy a breathtaking view of the Montgo Mountain and distant Mediterranean views. 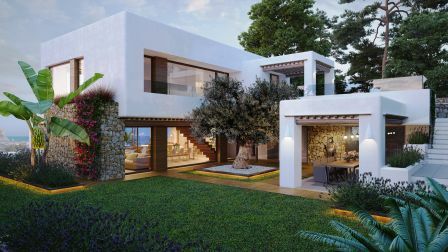 Located in Piver the prestigious area of coastal town Javea. With completed amenities including wide roads, green areas, street lighting and completed underground Gad supply and mains drainage. The custom options below are designed to be bright and open, where privacy, design and simplicity of lines an quality compliment each other. 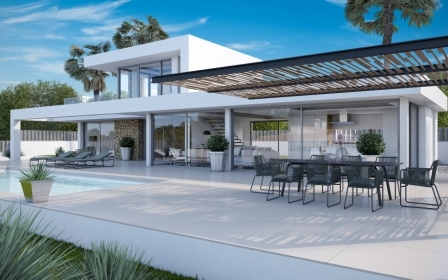 Each containing automatic systems for control on heating and lighting via your smart phone, full home automation air conditioning, under floor heating, LED lighting, and double glazing with choices of every material from tiling to kitchen and bathroon design. Every style can be customized by the cleint realising the dream of designing your own home in the sun. 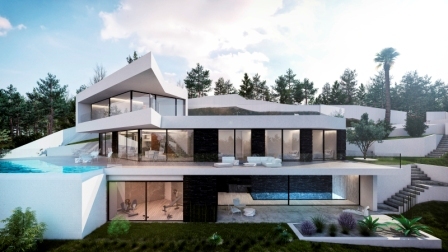 All reflect the the extremely high standards, attention to detail and passion taken in the construction and design processes which is reflected in our im to create modern style luxury Villas that compliment each other using all the latest building technologies and methods.